Google campuses may be best known for their fun quirks — like having massive slides in a number of them. But over the years, the company has made strides to make its offices not only fun to work in, but environmentally friendly as well. 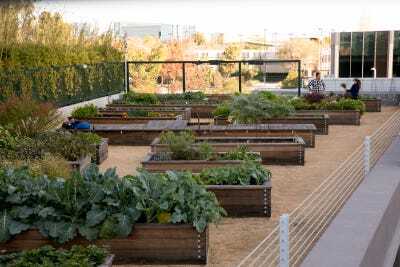 From cutting down on food wastes to harvesting its own honey, below are ten ways Google offices around the world are working towards being more sustainable. Google campuses may be best known for their fun quirks — like having massive slides in a number of them. But over the years, the company has made strides to make its offices not only entertaining, but environmentally friendly as well. With offices in over 160 cities housing over 98,000 employees, Google's carbon footprint — from an operational perspective — has the potential to be huge. 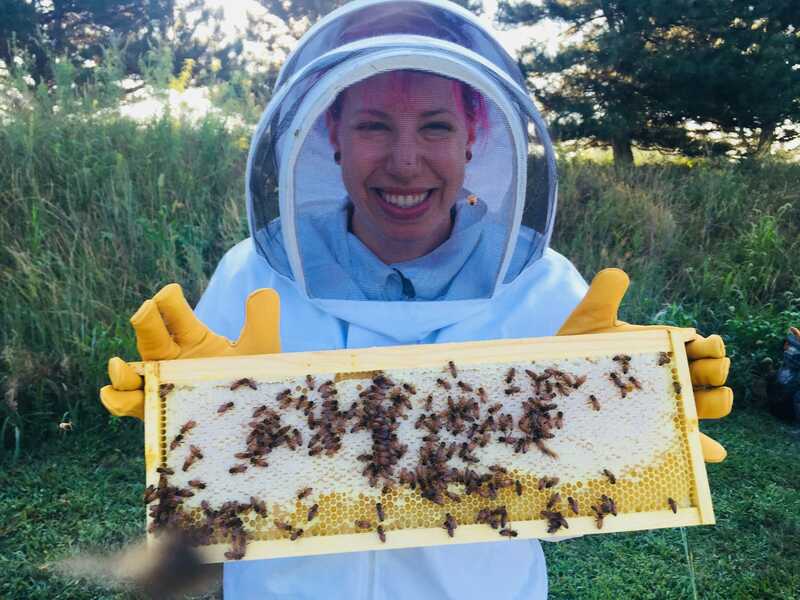 Knowing this, the company has come up with creative ways to cut down on things like food waste, car emissions, and even, how much honey it has to buy for its cafes. 1. 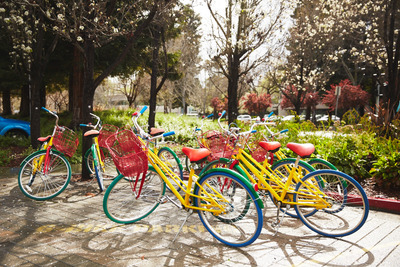 Google offers its employees a colorful fleet of bikes — known as Gbikes — to help them get around its Mountain View campus. The GBike program started in 2007 and today, has over 1,000 bikes in its fleet. According to a Wall Street Journal report, though, over 100 bikes go missing each week from Google's campus, showing up at local schools, neighbors lawns, and even, one time, on the roof of a local sports bar. The scattered Gbikes throughout the city could be seen as an eyesore, but according to The Journal's report, many residents have embraced them and ride the bikes around town themselves. Even Mountain View's mayor said he once rode a Gbike to the local movie theater after a meeting at Google, according to the report. The company says each Gbike is ridden for about 3 miles per day. Other campuses offer eco-friendly modes of transport to employees as well, including standup paddleboards in Seattle, push scooters in New York City, and kayaks in Sydney. 2. Google makes it a priority to purchase "imperfect" fruits and vegetables. 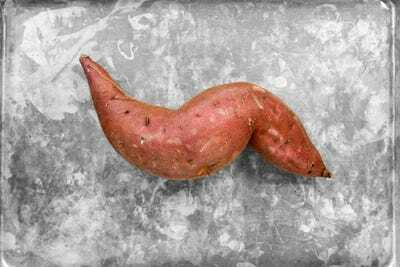 The company says that some of this produce would ordinarily go to waste because it doesn't meet the aesthetic expectations of grocery stores even though it's "perfectly delicious and healthy on the inside." In 2018, Google says it used over one million pounds of imperfect produce — including carrots, tomatoes, peppers, bananas, and more. 3. Twenty-five Google offices around the world use space on their campuses to grow their own food. The company says these gardens have produced tomatoes, squash, cauliflower, broccoli, kale, peas, oregano, sage, and much more. Google's food team uses the fresh produce in the meals it prepares for employees. 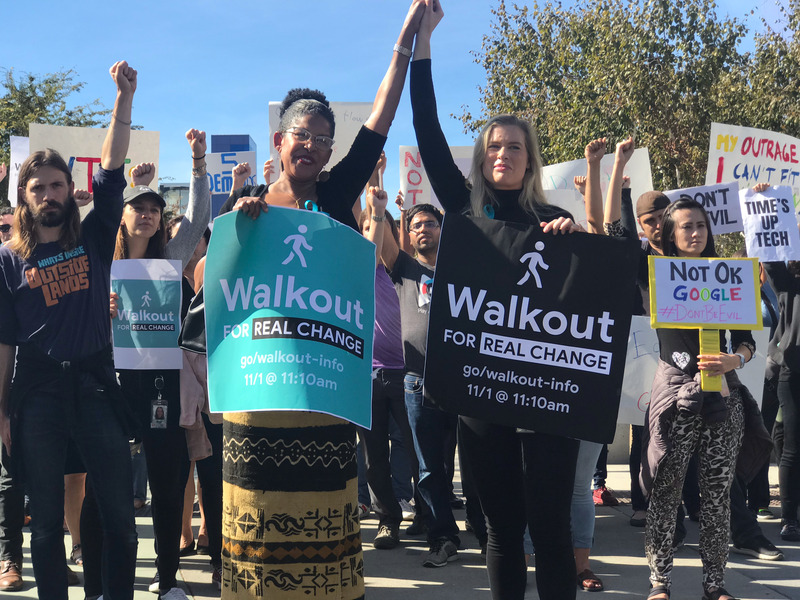 Google employees walked out of their offices last year in a massive protest of their company's handling of sexual harassment allegations. Two of the organizers say Google has retaliated against them by changing their roles and demoting them at the company, Wired reports. In response, the two women say they're hosting a "retaliation town hall" Friday for employees to attend and share their own stories of retaliation. In a message sent internally Monday to some Google employees, and obtained by Wired, Meredith Whittaker and Claire Stapleton said the company had demoted them in their roles, and forced them to give up some of their duties at work. "This harms people inside the company, and communities outside who bear the brunt of Google's bad choices," the women wrote in their email. "If we want to stop discrimination, harassment, and unethical decision making, we need to end retaliation against the people who speak honestly about these problems." Both Whittaker and Stapleton were named in a New York Magazine story as two of the women who helped organize the walkout in 2018 of 20,000 Google employees, who protested the company's handling of sexual harassment cases and past misconduct allegations against senior executives. Whittaker is the head of Google's Open Research group, and the cofounder of research lab AI Now Institute. Whittaker said in the internal email she was recently told her role would be "changed dramatically," and that she would have to give up her AI ethics research with AI Now Institute in order to keep her job. Stapleton has been employed a marketing manager at Google-owned YouTube. She wrote in the email that Google demoted her from her position, and her work was given out to others. Her demotion was only reversed after she hired a lawyer and Google conducted an investigation into the matter, Stapleton said. "My manager started ignoring me, my work was given to other people, and I was told to go on medical leave, even though I'm not sick," Stapleton said in the email. "While my work has been restored, the environment remains hostile and I consider quitting nearly every day." The two women said in the email that a culture of retaliation exists at Google, and their stories of retaliation "aren't the only ones." In response, Google said in a statement that retaliation is prohibited at the company, and that the situations with Whittaker and Stapleton were not examples of retaliation. "We prohibit retaliation in the workplace, and investigate all allegations," a Google spokesperson told Business Insider. "Employees and teams are regularly and commonly given new assignments, or reorganized, to keep pace with evolving business needs. There has been no retaliation here." Stapleton and Whittaker also wrote in their email they'll be hosting a "retaliation town hall" on Friday to "share our stories, and strategize." Hi all, This was a hard email to write. Google is retaliating against several organizers. Just after Google announced that it would disband its AI ethics council, I was informed my role would be changed dramatically. I'm told that to remain at the company I will have to abandon my work on AI ethics and the AI Now Institute, which I co-founded, and which has been doing rigorous and recognized work on these topics. I have worked on issues of AI ethics and bias for years, and am one of the people who helped shape the field looking at these problems. I have also taken risks to push for a more ethical Google, even when this is less profitable or convenient. After five years as a high performer in YouTube Marketing (and almost twelve at Google), two months after the Walkout, I was told that I would be demoted, that I'd lose half my reports, and that a project that was approved was no longer on the table. I escalated to HR and to my VP, which made things significantly worse. My manager started ignoring me, my work was given to other people, and I was told to go on medical leave, even though I'm not sick. Only after I hired a lawyer and had her contact Google did management conduct an investigation and walked back my demotion, at least on paper. While my work has been restored, the environment remains hostile and I consider quitting nearly every day. Our stories aren't the only ones. Google has a culture of retaliation, which too often works to silence women, people of color, and gender minorities. Retaliation isn't always obvious. It's often confusing and drawn out, consisting of icy conversations, gaslighting, project cancellations, transition rejections, or demotions. Behavior that tells someone the problem isn't that they stood up to the company, it's that they're not good enough and don't belong. During the Walkout, we collected 350 stories. Reading them, a sad pattern emerges: people who stand up and report discrimination, abuse, and unethical conduct are punished, sidelined, and pushed out. Perpetrators often go unimpeded, or are even rewarded (Andy, Amit, "I reported, he got promoted"). By punishing those who resist discrimination, harassment, and unethical decision making Google permits these behaviors. This harms people inside the company, and communities outside who bear the brunt of Google's bad choices. If we want to stop discrimination, harassment, and unethical decision making, we need to end retaliation against the people who speak honestly about these problems. 2. If you've been retaliated against, please share your story. (If you shared your story with the Walkout form, feel free to re-share and help keep everything in one place.) The more we share with each other, the easier it will be to push back. Add yours. Facebook has hired a new general counsel. 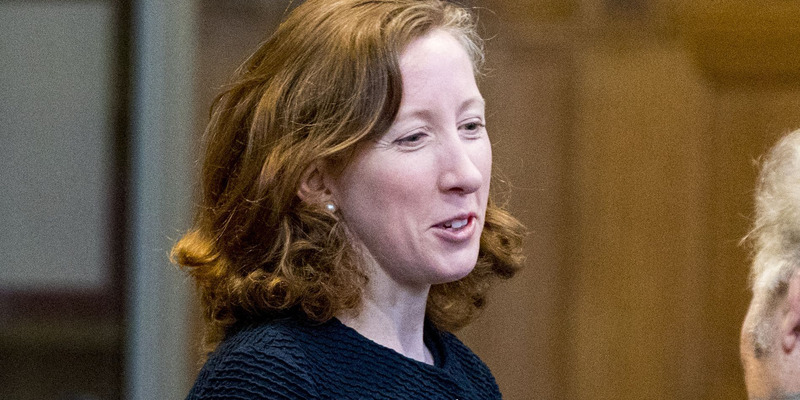 Jennifer Newstead, a top lawyer at the US State Department, is joining the beleaguered social networking firm. She is replacing Colin Stretch, who has been planning to leave for nearly a year. Facebook has finally found a new general counsel — hiring Jennifer Newstead, a top lawyer at the US State Department, to fill the role. The social network's previous general counsel, Colin Stretch, originally announced his intention to leave in July 2018. But as the California company lurched from scandal to scandal, he ended up staying on. He will continue to be with Facebook "through the summer to help with the transition," the company said on Monday. Newstead most recently served as a legal adviser for the US State Department, "overseeing work on all domestic and international legal issues affecting the conduct of US foreign policy," Facebook said in a blog post announcing the news. She joins Facebook at a time of extreme upheaval. Over the last two years the company has faced successive crises, from the Cambridge Analytica scandal to its role spreading hate speech that fueled genocide in Myanmar. Public attitudes towards big tech — and Facebook specifically — have soured accordingly, with increasing calls for stricter legislation or even antitrust measures. "I'm excited to be joining Facebook at an important time and working with such a fantastic team," she said in a statement. "Facebook's products play an important role in societies around the world. I am looking forward to working with the team and outside experts and regulators on a range of legal issues as we seek to uphold our responsibilities and shared values." On Monday, Facebook also announced a new vice president of global communications — John Pinette, the former VP of marketing and communications at Vulcan, who has also worked at Google and Bill Gates' Gates Ventures. He replaced Caryn Marooney, who announced her exit in February 2019. Tesla's full-self-driving (FSD) technology is aiming to replicate human cognition on a vast scale. Tesla's FSD technology requires powerful computers and a fleet of vehicles gathering data to continuously improve. 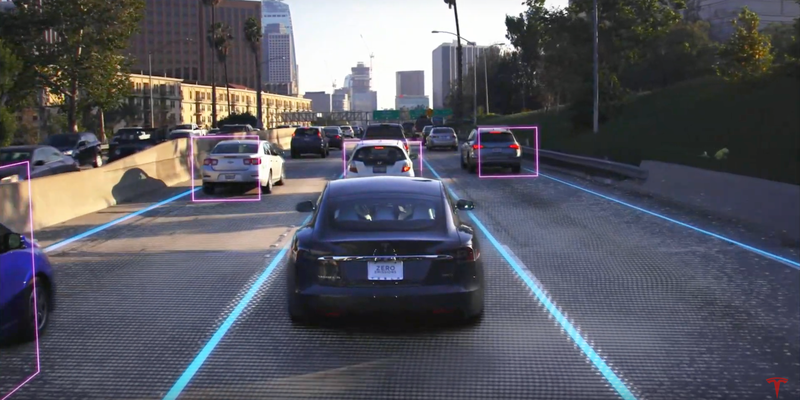 Tesla's system differs from technologies that are based on laser radars, which Musk says are a bad solution for self-driving cars. The main takeaway is that for about three years, since CEO Elon Musk made autonomy a key aspect of Tesla's future, the carmaker has been working to combine its fleet of self-driving-equipped vehicles with a sophisticated new onboard computer that can crunch a massive amount of visual information. Tesla is going for the amplifying power of network effects here: A constant flow of data could enable Tesla systems to rapidly improve themselves and overcome the limits of visual-based tech — limits that Waymo, General Motors' Cruise, and others are avoiding by using laser-radar setups called lidar. Musk said that lidar is doomed and that Tesla's neural-network-based approach is better. We won't know for some time if he's right. But Tesla's deep dive into its technology, which would be challenging for even Ph.D. computer scientists to follow, proved that the challenge Tesla has set about attacking proves one thing: The connection between the human eye and the brain that makes the act of driving possible is staggering in its complexity. Think of it like this. In much of the US, a human can spend about 5,840 days living, practice behind a car for a few months, and then drive an automobile with reasonable competence. It's those 5,840 days, along with the natural neural net that is the brain, that has sent many self-driving companies running to lidar technology. And that's because for a 16-year-old human, a lifetime has been spent interacting visually with reality (and the visual component is just one sense that's being trained). Driving is an extension of that episode of learning. And a human doesn't need a far-flung network; we can do it on our own, as individuals. We also specialize from what self-driving researchers call "edge cases" — weird stuff that computers have never seen and that they can't quickly process. We can come up with solutions on the fly. Tesla is tackling this challenge by taking all of its cars and treating them like a networked mega-driver. A human couldn't process billions of data points coming in nonstop. But computers can handle this. So what Tesla's full-self-driving program is hoping for is a kind of never-ending real-time simulation that all of its vehicles can tap into. Will it work? Maybe. And if it does, will Tesla be able to use it to build a business that's distinct from selling cars? We'll find out. Tesla kicked off its autonomy day on Monday morning at its Palo Alto headquarters. CEO Elon Musk, along with director of AI Andrej Karpathy and head of hardware engineering Pete Bannon showed off the latest in Tesla's self-driving technology. The company once again shunned Lidar, the radar technology that most other competitors are using for autonomous driving, in favor of camera imagery. Some experts have warned that Musk's previous comments about Tesla's self-driving software could be unsafe and even unethical. Tesla's "autonomy day" kicked off on Monday morning at the electric-vehicle maker's headquarters in Palo Alto, California, where executives including CEO Elon Musk were expected to give investors more details about the company's self-driving technology, known as Autopilot. "Tesla is making significant progress in the development of its autonomous driving software and hardware, including our FSD computer, which is currently in production and which will enable full-self driving via future over-the-air software updates," the company said when it announced the event. Attendees were given red, Tesla-branded badges with sequential numbers, assumably for test rides of the full self-driving functionality. Musk took the stage just before noon alongside Pete Bannon, the vice president of Autopilot engineering, as more than 40,000 people watched remotely via the company's live YouTube stream. Bannon explained how Tesla designed a new chip for its Autopilot software, noting that the company was able to leverage expertise from multiple teams across the business. "I really love it when a solution is boiled down to its base elements," Bannon said, referring to the chip architecture. "You have video, computing, and power. It's straightforward and simple." At the core of all of this is safety, Musk added. "Any part of this could fail and the car will keep driving," Musk said. "The probability of this computer failing is substantially lower than someone losing consciousness." The computer is able to authenticate that any code it runs has been authenticated by Tesla as genuine, Bannon said. Neural network accelerators on Tesla's new chip can process 2100 frames per second of incoming imagery from a cars eight constantly running cameras, Bannon said. That's the equivalent of 2.5 billion pixels per second. "This is far more detailed than most people would appreciate," Musk said after Bannon finished his presentation. "At first it seems improbable. How could it be that Tesla, who has never designed a chip before, would design the best chip in the world? But that is objectively what has occurred." But that statement was met with pushback from one competing chip company that Bannon and Musk specifically talked about on stage: Nvidia. 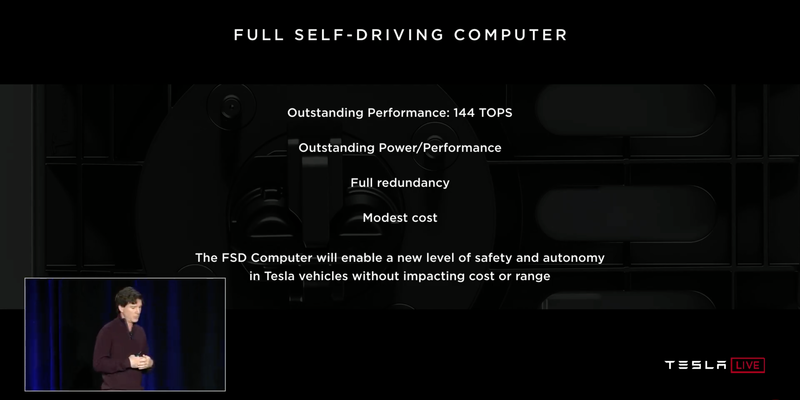 A slide during Tesla's presentation compared the processing capabilities of Tesla's chip compared to Nvidia's Drive Xavier chip, saying that Tesla's chip was capable of 144 TOPS of processing vs. the Drive Xavier's 21 TOPS of processing. But Nvidia says there's two issues with this comparison: First, it says its Drive Xavier chip is actually capable of 30 TOPs of processing, not 21. But more importantly, Nvidia says a better comparison would be Tesla's full self-driving computer chip vs. Nvidia's Drive AGX Pegasus, which it says is capable of 320 TOPS of processing. "Tesla was inaccurate in comparing its Full Self Driving computer at 144 TOPS of processing with Nvidia Drive Xavier at 21 TOPS," Nvidia told MarketWatch in a statement. "The correct comparison would have been against Nvidia's full self-driving computer, Nvidia Drive AGX Pegasus, which delivers 320 TOPS for AI perception, localization and path planning." Musk said that all Tesla vehicles produced right now already have the full self-driving chip in place. The company also once again distanced itself from the LIDAR (light detection and ranging) radar technology that the rest of the industry is using to power self-driving cars. "Lidar is a fool's errand," Musk said. "Anyone relying on lidar is doomed. Expensive sensors that are unnecessary. It's like having a whole bunch of expensive appendices. Like, one appendix is bad — well, how about a whole bunch of them? That's ridiculous. You'll see." Andrej Karpathy, Tesla's senior director of artificial intelligence, took the stage about 12:25 p.m.
"Pete told you all about the chip we've designed that runs the neural networks in the car — my team is responsible for the training of these neural networks, and that includes all of the data collection from the fleet, neural network training, and then some of the deployment onto that chip," he said. It's up to Tesla's AI software to monitor all of the incoming flood of data from the cars and then make driving decisions based on those inputs. This can be everything from lane lines, to road signs, stop lights, pedestrians, and more. It's basically the same function the human brain does every day, in turning light signals into known objects with tons of pattern recognition. To train a neural network, the computer requires thousands of examples to be fed into its system, Karpathy explained: "There is no substitute for real data." The system can then be trained based on data collected by cars in Tesla's fleet already on the road, Karpathy said. As drivers cover new roads, that data can be loaded into the AI system to further train Autopilot to be a better driver through what Tesla's calling path prediction. 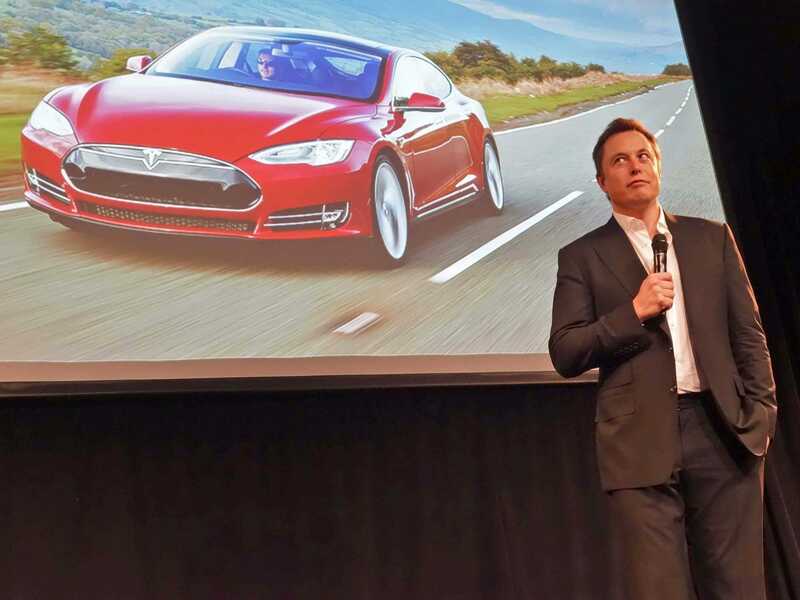 Stuart Bowers, Vice President of Engineering, laid out Tesla's software testing program. He said a new feature, like automatic lane changing, will first be released in "shadow mode." Bowers said when "you feel good about it," the feature will go out to a controlled deployment and sent out to thousands of people. The more people using the new feature, the more data Tesla has to understand how it is working. The company will then do a full rollout when it feels fully confident in the feature. Tesla says it is now seeing 100,000 auto lane changes every day, and that has occurred with zero accidents. By next year Musk said to expect the first operating robottaxi's, with no one in them to start. Musk said he's "very confident" in predicting the launch of the robotaxi program by next year, not in all regions (because of regulations) but some. 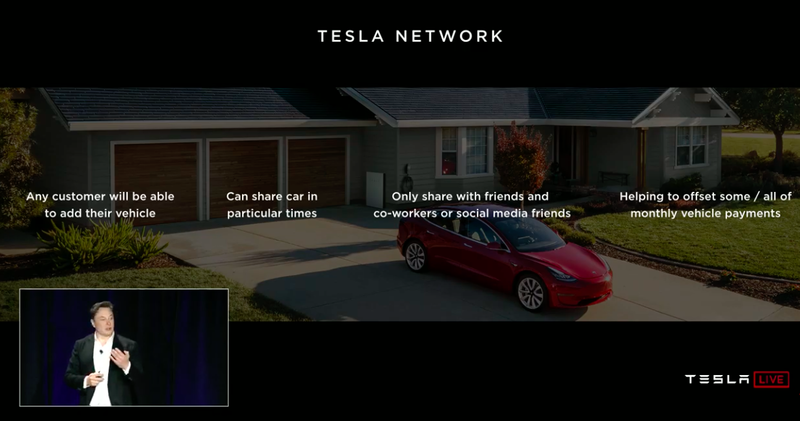 Musk says that any customer will be able to add or remove their car to the "Tesla Network," which he describes as a combination between the Uber or Airbnb. Similar to those platforms, Tesla will also take around 25-30% of revenues generated from the ride shares. In places where not enough people are sharing their cars, there will be Tesla-owned vehicles to handle the demand. Tesla will have its own ride-hailing app for customers to summon a ride or for them to commit their cars to the fleet. Model 3's and Model S's will be used as taxis, Musk says. The impact they could have on the ride-sharing industry could be massive. As Musk pointed out, the average cost of ride-share today per mile is around $2-$3. 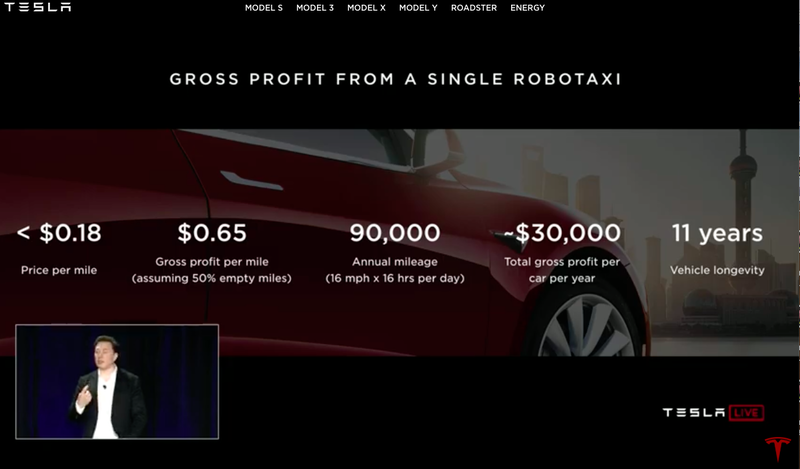 Tesla estimates a robotaxi will cost riders less than $0.18. A driver could profit $30,000 per year from owning a robotaxi and allowing it to operate on the Tesla Network. The cars, he said, are designed to run at least a million miles. By the middle of next year, Musk says over a million Tesla cars will be on the road with full-self driving hardware, which means, there's the potential of one million robotaxis by then. 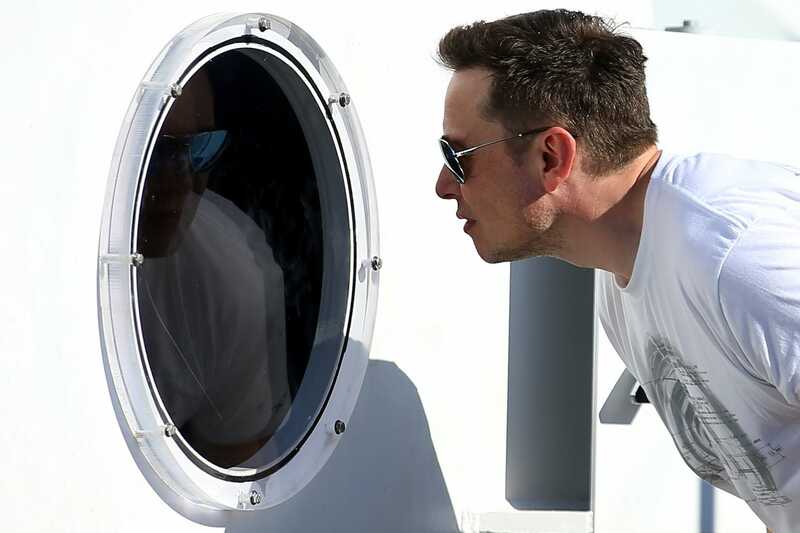 "The fleet wakes up with a middle of the year with an update," Musk said. "That's all it takes." Robotaxis will automatically be able to park and automatically plug in, Musk said. So no human assistance will be needed. Regarding questions around competition, Musk reminded the audience that due to a clause in its buyer agreement, self-driving Teslas are only allowed to operate on a Tesla-run network. That means autonomous Tesla's can not be used on other ride-sharing services like Lyft or Uber. "The fundamental message that consumers should be taking today is that it is financially insane to buy anything other than a Tesla," Musk said. "It will be like owning a horse in three years. I mean, fine if you want to own a horse. But you should go into it with that expectation." Wall Street analyst have said there are more pressing issues Tesla investors should be worrying about ahead of the company's first-quarter earnings report on Wednesday. "While we firmly believe in the long term vision for Tesla and expect self driving autonomous technology will be a linchpin of the company's success," Daniel Ives, an analyst at Wedbush, said in a note to clients Monday. "The Street needs to have a better grasp on the near term demand trajectory in the US for 2Q, delivery logistics for Model 3 in Europe/ China which had been a key culprit for the 1Q debacle, and better understanding of the tenuous balance sheet situation for Musk & Co. going forward for the stock to stabilize." Arndt Ellinghorst, an analyst at Evercore, said he was waiting for specifics before assigning any value to Tesla's self-driving suite. 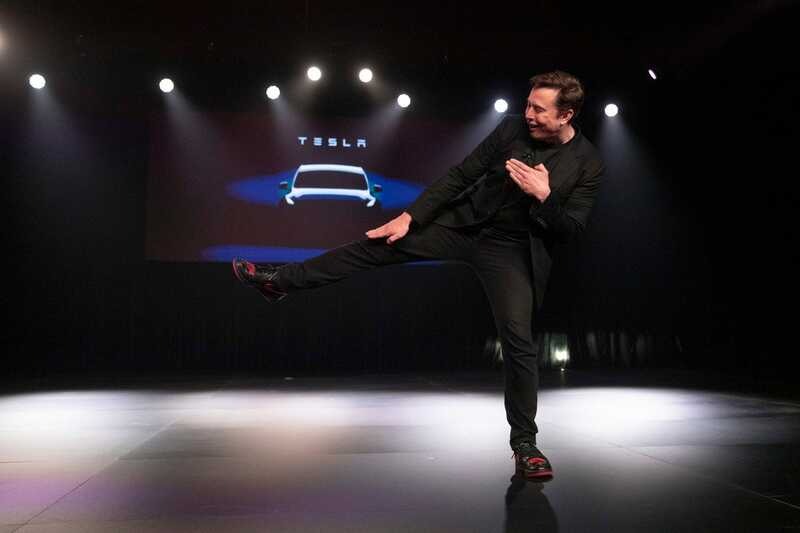 "We're certain the market is going to get a lot of promises at the investor day tonight, but we'd like to see more proof before assigning a significant value," he said in a note to clients downgrading shares of Tesla from "in line" to "underperforming." "The market is assigning very little value to autonomous assets within public OEM's (even when they have direct valuations like GM/Cruise) and the market is not going to give Tesla credit for Musk's promises without very near term KPI's." Musk's previous comments about Tesla's self-driving capabilities have drawn criticism from some industry experts, who say the billionaire has overhyped certain technologies in a way that could even be unethical. The sizzling initial-public-offering market of 2019 continues with five companies valued at over $1 billion already having gone public this year. While the majority of these companies have soared in their debut, retail investors have mostly struggled to benefit from the upside. Markets Insider walks through the challenges that retail investors face getting pre-IPO shares and also the risks. 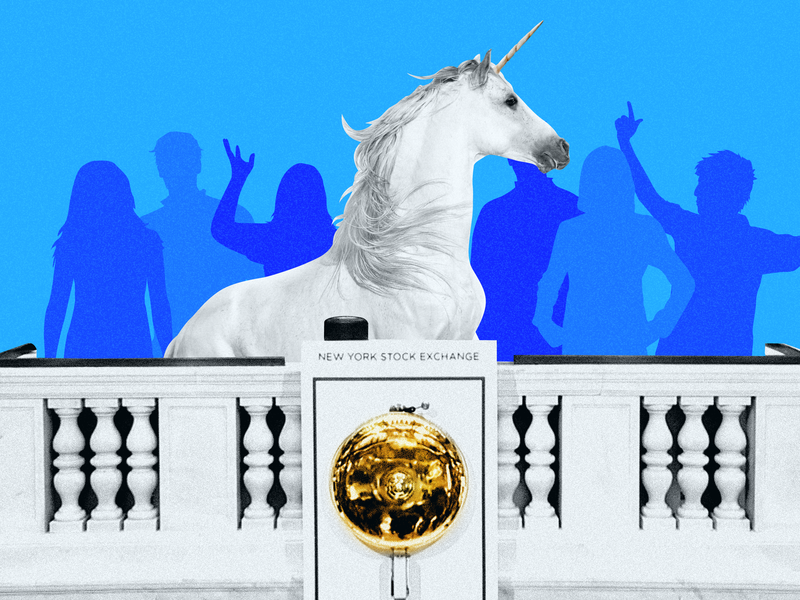 The initial-public-offering market has been red-hot in 2019 with several tech "unicorns" going public and cementing their multi-billion dollar status. 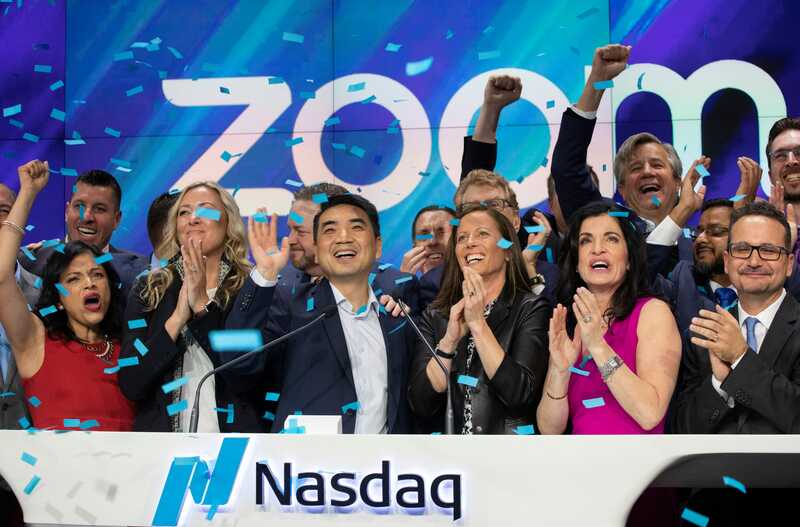 Tradeweb, PagerDuty, Pinterest, and Zoom have all gone public with shares rising significantly in their trading debuts. All of these stocks shot up by at least 25% in their initial trade. Zoom topped the list with an 81% gain. The ride-hailing unicorn Lyft has proved to be a notable exception, with shares eeking out a small gain on the first day of trading before tumbling 20% below its IPO price. Despite the volatility, the IPO market remains red-hot with more companies to follow, including the mega-unicorn Uber which may seek a valuation as high as $100 billion. 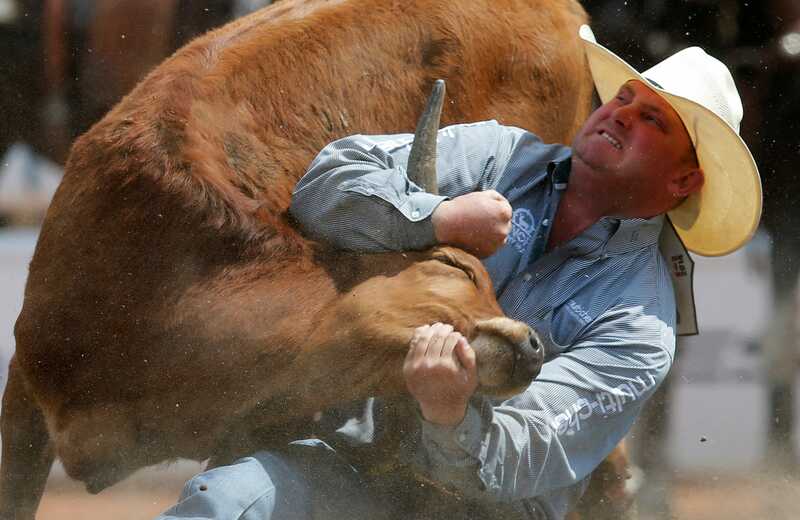 Despite this activity, many small investors will struggle to get a piece of the pre-IPO action. Investing in initial public offerings is far more complicated than placing a trade to buy stock, as explained by Fidelity. First off, IPOs are run by investment banks such as Goldman Sachs, Morgan Stanley, and Bank of America. Typically, a bank allocates 90% of the available shares to institutional investors, such as pension funds and hedge funds. Retail investors who who have brokerage accounts with the firm are typically allotted 10%. All retail investors seeking to get in pre-IPO must meet brokerage requirements of minimum investable assets as well as answer Financial Industry Regulatory Authority (FINRA) questions about investment style and risk tolerance. Once those requirements are met, retail investors must review the company's prospectus, which lays out the risks of the investment, and indicate the maximum amount of shares they wish to purchase. The day before an IPO begins trading, investors are given confirmation of their share allocations as well as pricing of the issue. IPOs with strong demand are over-subscribed and investors usually only receive a part of their maximum indication, sometimes as low as 10-20%, with the brokerage firm deciding the exact amount each investor receives. "Typically, customers with significant, long-term relationships with their brokerage firm will receive higher priority than those with smaller or new relationships," according to Fidelity's website. In other words, the rich get richer while smaller investors may receive no shares at all despite their request. To the extent that brokerage firms do allocate IPO shares to smaller investors, this is usually a sign that there is limited demand for the IPO which may result in weak trading. "Historically if my broker called me up and tried to sell me on an IPO, I would say, 'This is not a good idea,' and take a pass," Timothy Loughran, a finance professor at the University of Notre Dame told US News & World Report. "The only time they were going to go down to someone like me is if the IPO is having trouble and they're having trouble placing the shares." Despite these challenges, some companies have made an effort to broaden the allocation to retail investors. Most notably, Facebook added E-trade as one of the 33 underwriters to its IPO. E-trade then offered shares to its nearly 3 million retail accounts. With demand outstripping supply, however, E-trade noted that shares would be allocated in a process where "asset levels" and trading history would be taken into account. Similar to the bulge-bracket brokerage houses, larger clients received a preference. Despite the craze for shares, IPOs carry real risks for investors. IPO investors who held onto shares of Facebook lost almost 50% of their money within two months of its stock-market debut as the social-media company suffered doubts about its valuation and growth prospects. The shares ultimately recovered, and is up nearly 10 fold from its post-IPO low of $20.10 in August 2012. 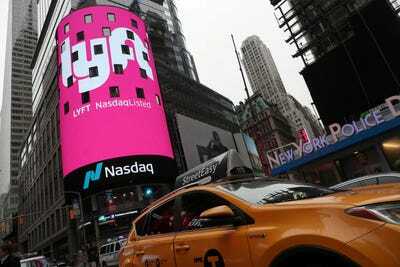 More recently, Lyft's 20% post-IPO plunge is a reminder that IPO investing is not for the faint of heart. Retail investors still looking for IPO allocations may not have a shot at the next Zoom, but will have more luck with sectors that attract less buzz and attention. These can include public offerings of Real Estate Investment Trusts or energy stocks which often trade as partnership structures for tax reasons. These securities are generally less suited to institutional investors, opening up the opportunity for retail investors to participate. Texas is experiencing a booming economy these days, with rapid advancements in many sectors not traditionally associated with the Lone Star State. Petroleum products remain the state's largest export, but advanced computer and machinery components account for five of its 10 main exports. Here are 11 amazing and unexpected facts about the Texan economy that will change the way you think about the 28th state. Not everything is bigger in Texas after all. Texas is the second-largest state in terms of landmass, trailing behind Alaska. And it's second in population, as well, behind California. Texas also trails behind California in terms of annual GDP. 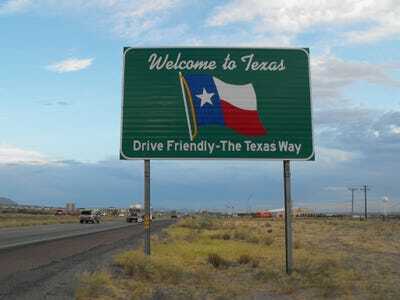 But beyond those few areas where the Lone Star State lags behind, most statistics related to the place truly are Texas-sized, especially when it comes to its economy. From its sky-high oil production to its surprisingly massive wine industry, here are 11 incredible facts about the economy of Texas. In 2017, Texas accounted for a whopping 37% of America's crude oil production, according to the US Energy Information Administration. 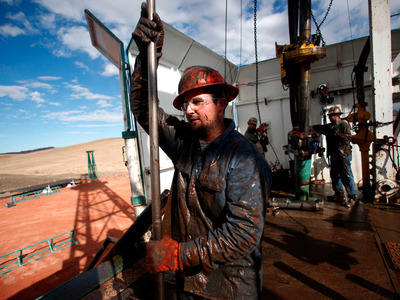 The state also was responsible for 24% of the nation's marketed natural gas production. Were it a sovereign nation, Texas would have the 10th-largest economy in the world. In 2017, Texas had an approximate economic output of $1.7 trillion, putting it slightly ahead of Canada and slightly behind Brazil. In order to keep the massive volume of goods produced in and shipped out of Texas, the state has built up the largest transportation network in the United States, with more than 313,200 miles of public roads. Texas also has 16 seaports and more than 380 airports. AT&T has a controversial marketing tactic to promote its wireless network that fooled tech billionaire Marc Benioff into thinking he was connected to the latest and greatest in mobile networks — 5G. AT&T renamed its 4G LTE Advanced Pro network for "5G E," with the "E" standing for evolution. It's not real 5G, which promises faster speeds and responsiveness. By marketing LTE Advanced Pro networks as "5G E," AT&T has confused people and led some to incorrectly believe they're connected to a 5G network. Even some of the most tech-savvy people are being fooled by AT&T liberal use of the term 5G. Sorry, Marc. Your initial hunch was right. There is no 5G chip in your iPhone (I can tell because of the icons in your screenshot), and therefore, your phone is not connected to a 5G network that promises gigabit speeds in San Francisco. What Benioff is seeing here is "5G E," AT&T's 5G Evolution network that's actually a rebranding of the carrier's LTE Advanced Pro (LTE AP) network. Most recent phones can connect to their carrier's own LTE Advanced networks, which have better performance than standard 4G LTE networks. Either way, LTE AP is not 5G that operates on difference frequencies that can deliver far higher speeds than 4G LTE networks, including LTE AP. AT&T has come under fire from tech media and other carriers for potentially misleading its customers into thinking they're getting 5G, the latest and greatest in mobile network connectivity. Benioff's tweet is a clear example that AT&T's marketing works. It's causing consumers to think they're connected to a 5G network, when in fact they're simply connected to their standard wireless network. 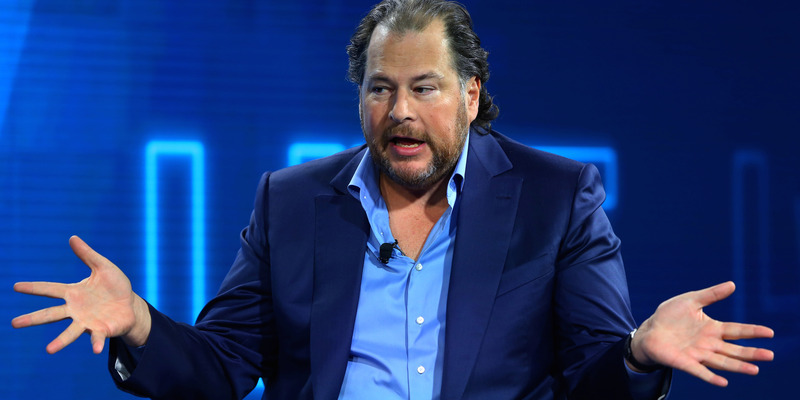 If Benioff is confused, what about the average consumer? A couple friends of mine recently came running to me saying they got 5G on their phones, when in fact it was merely AT&T's 5G E. I had to explain to them that they didn't actually have real 5G, a move that made me the biggest buzzkill since Brandon Stark in the latest Game of Thrones episodes. AT&T faces a risk that its 5G E marketing campaign could backfire. One recent report showed that AT&T's 5G E network was actually slower than other carriers' 4G LTE networks. Not only does that look bad for AT&T, but it looks bad for 5G. AT&T, like most carriers, is currently building out legitimate 5G networks — an expensive and time consuming process. AT&T actually has the widest-reaching real 5G network in the US at the moment, active in 19 cities versus the two cities that Verizon has recently activate with its 5G network. The main difference between Verizon and AT&T, however, is that Verizon actually has a phone that can connect to 5G — the Motorola Moto Z3 with the separate 5G Moto Mod attachment — whereas AT&T does not. AT&T is planning on selling the $1,200 Samsung Galaxy S10 5G some time this spring. The decision to postpone the launch, which had been scheduled for this Friday, came after a small number of reviewers reported that the screen on their devices had broken. The company says it will announce the new release date in the coming weeks. 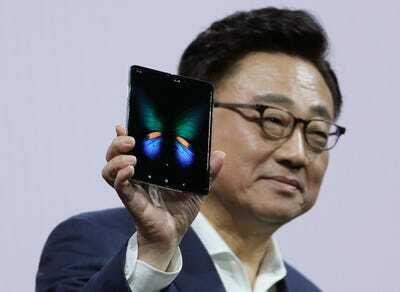 Samsung is delaying the launch of its Galaxy Fold smartphone following reports that the screen on some review units of the device had broken, the company said Monday. Samsung says it will announce a new release date in the coming weeks. 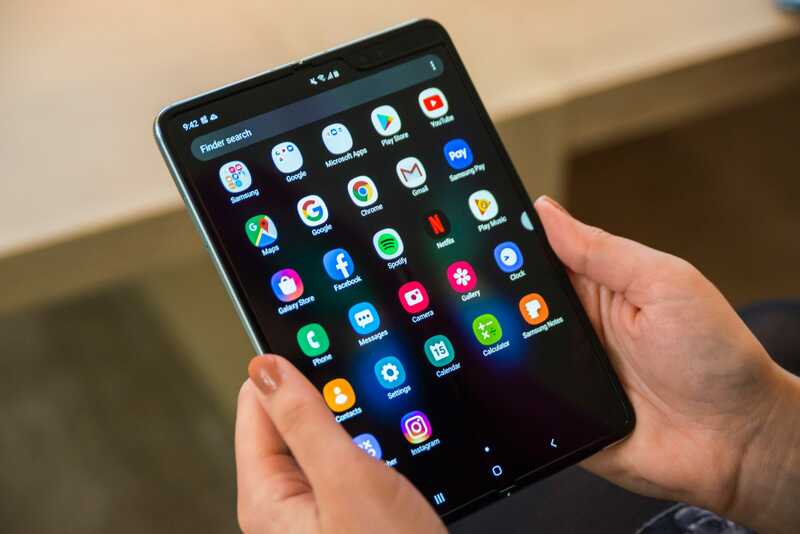 "While many reviewers shared with us the vast potential they see, some also showed us how the device needs further improvements that could ensure the best possible user experience," the company said. "To fully evaluate this feedback and run further internal tests, we have decided to delay the release of the Galaxy Fold." The company also addressed the issues some reviewers experienced with the device's screen. It said initial findings from its investigation indicated the problems might be linked to "impact on the top and bottom exposed areas of the hinge." 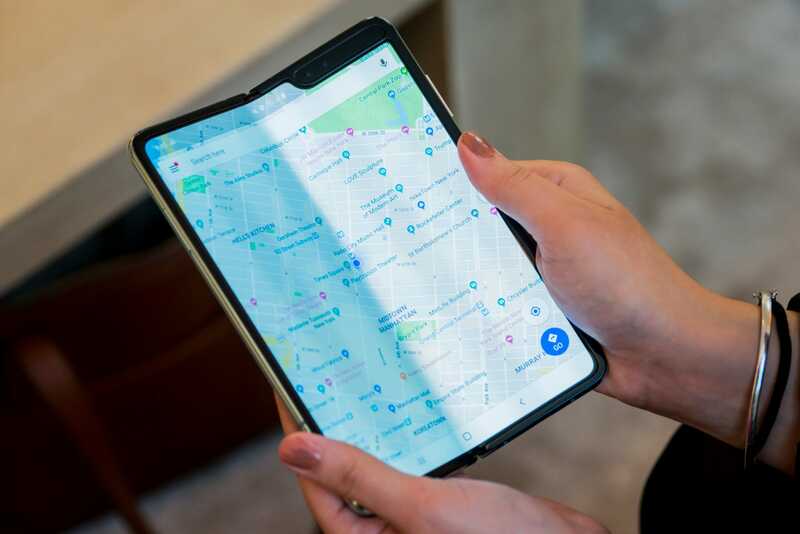 A small number of reviewers reported that the screens on their Galaxy Fold units had broken after just two days of use. Two of the critics had accidentally removed a protective layer from the screen, while two other reviewers did not appear to have tampered with the film. Affected users reported that the screen would flicker, and in one instance a bulge began to form under the display's crease. When Samsung announced the phone in February during its Unpacked keynote, it said the device would be available to purchase on April 26. But it did not allow media to try the Fold following the event, as it usually does during product unveils. 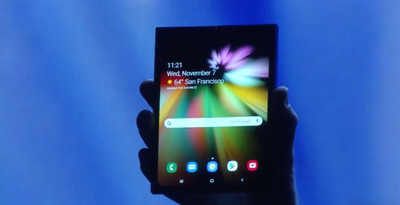 The Galaxy Fold starts at $1,980, making it significantly more expensive than premium smartphones with non-folding designs like the iPhone XS Max, which starts at $1,099, and Samsung's $1,000 Galaxy S10 Plus. The phone features a clamshell design that offers a 4.6-inch screen when closed and a 7.3-inch tablet-size display when opened. Beyond Meat, the vegan protein company backed by Kleiner Perkins, set a price range on Monday for its long-awaited IPO. Beyond Meat set a range of $19 to $21, which at the high end would valued the company at $1.2 billion. Beyond Meat first filed its public S-1 back in November, but postponed its public listing following major market volatility. Beyond Meat, the venture capital-backed vegetarian food company with investors including Kleiner Perkins, is moving forward with its IPO, months after its plans got derailed by market volatility. In an updated filing on Monday, Beyond Meat set a price range of $19 to $21 for its IPO, which is expected to take place in early May. 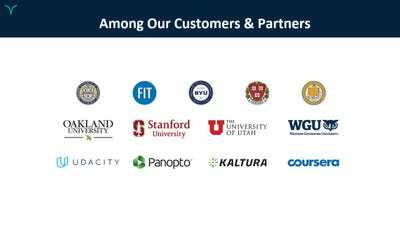 The company will list on the Nasdaq under the ticker symbol "BYND." At the top of that price range, the company would go public with a valuation of $1.2 billion. Beyond Meat first filed to go public on November 16, though it postponed its listing due to market volatility at the end of 2018. The delay was extended after the government shutdown in January closed the Security and Exchange Commission, putting all IPO activity on pause. Though Beyond Meat is technically a food company, it has many of the markings of a tech company. 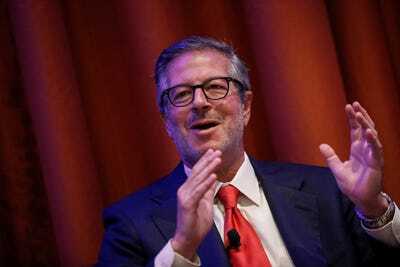 For one, Ned Segal, chief financial officer at Twitter, is on its board. Read more: McDonald's, Nvidia and Salesforce all want a bite of the Tel Aviv tech crop. Here's what you need to know about Israel's bustling M&A scene. Its IPO will be a major exit for Silicon Valley venture capital firm Kleiner Perkins, which owns nearly 16% of the company. 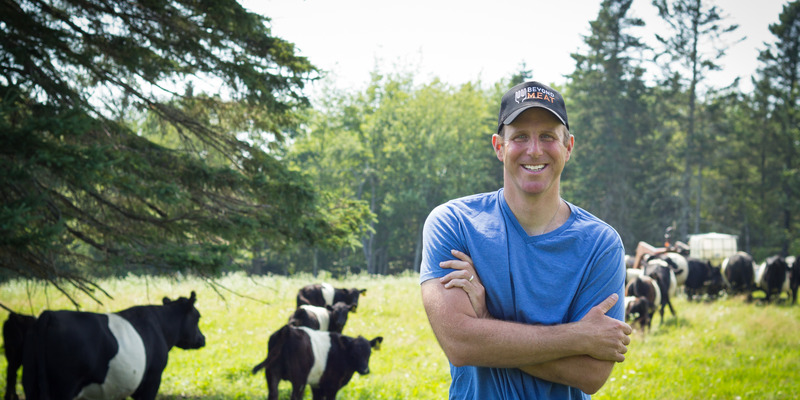 Beyond Meat is also backed by Obvious Ventures, as well as Tyson New Ventures, the non-vegan meat producer Tyson's VC arm. It's also growing at high multiples. Beyond Meat generated $88 million in revenue in 2018, up 170% from $32.6 million in 2017, according to its S-1 filing. In 2018, the company was profitable, showing $17.5 million in profit, up from losses of $2 million in 2017. Verbit offers a transcription service that relies on both computers and people. That hybrid model allows it to offer transcriptions that are cheap, fast, and highly accurate, CEO Tom Livne said. Livne formed Verbit after he became frustrated with traditional services. The company raised $23 million in venture funding in January using the pitch deck below. Tom Livne's startup was born out of his personal frustration. "I was a very frustrated customer, and I decided that had to come up with a solution to this problem," Livne told Business Insider in a recent interview. 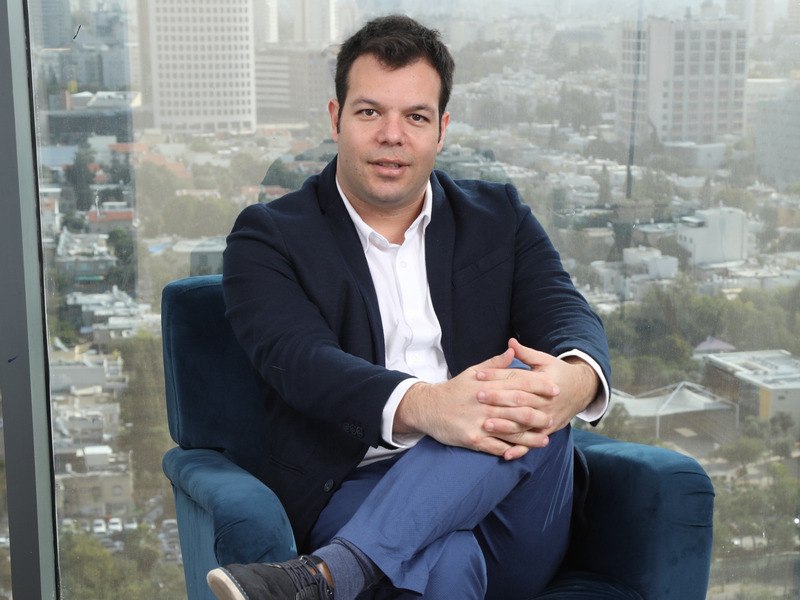 So Livne got together with Eric Shellef, who had headed up the speech-recognition team at Intel's wearables group, and Kobi Ben Zvi, who had been vice president of the Israeli e-commerce company Buynando, to form Verbit, which offers a tech-based transcription service. 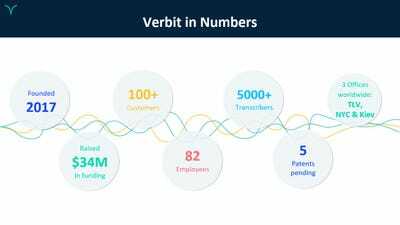 The transcription business is basically divided into two segments, Livne, now Verbit's CEO, said. On one side are the traditional services that rely on humans to listen to and transcribe conversations. Those services are generally fairly accurate. But they're relatively slow and pricey. And because they're labor-intensive, they're not very profitable businesses, he said. On the other side of the market are automated services that rely on computerized natural-language processing. Those services are relatively fast and cheap. But they can have a difficult time translating the speech of people with thick accents, those who use a lot of jargon, and those who speak quickly, Livne said. Even under the best conditions, the accuracy of such services isn't up to the standards that are required by courts, he said. 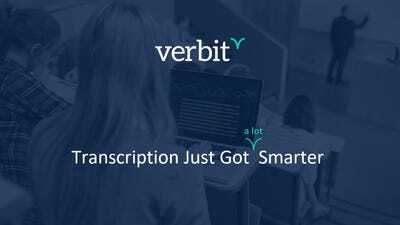 Verbit offers a hybrid transcription service. It built its own voice-recognition technology that it uses to make a first pass on transcription projects. That technology delivers a transcription that's about 90% accurate, Livne said. The company then relies on a network of 5,000 freelance transcribers to polish the computerized transcriptions. Those human workers can improve the accuracy to 100%. Verbit then feeds the freelancer's corrections back into its natural-language system, he said. "Every time they're making the correction, the machine is learning and learning and getting better and better over time," Livne said. But that's not the only way that Verbit is approaching the market differently, he said. Many voice-recognition services rely on a general speech model that they apply to all speakers. But Verbit's system creates speech models for individual speakers. It allows customers to upload their notes and other materials so its service can make more accurate guesses about what the speakers are saying. When transcribing conversations between two speakers, it can detect and create separate models for each of their voices. Such techniques "give us much better results" than other automated services, Livne said. Verbit, which was founded in 2016, initially focused on the legal market before branching out into education. It's planning to tackle other markets in the future. The company is using the money to bulk up all around, including its sales group and its research and development team, which is based in Israel, Livne said. He's planning to have the service support more languages soon and offer more features. 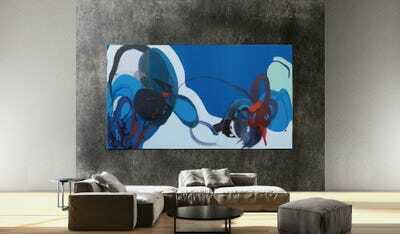 "Transcription is everywhere. 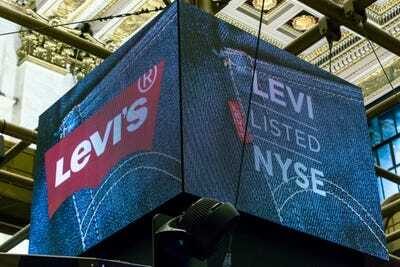 The market is huge," Livne said, adding, "We are in the best position to lead the market." Tesla's first-quarter earnings are due out Wednesday. Bets against Tesla are mounting ahead of the electric-car maker's highly anticipated first-quarter earnings, due out Wednesday. Investors executed notably bearish options trades last week, according to a Susquehanna Financial Group analysis. The two trades express investors' belief that the stock — already under pressure this year amid heightened concern from Wall Street analysts — could fall by as much as 24% over the coming months. 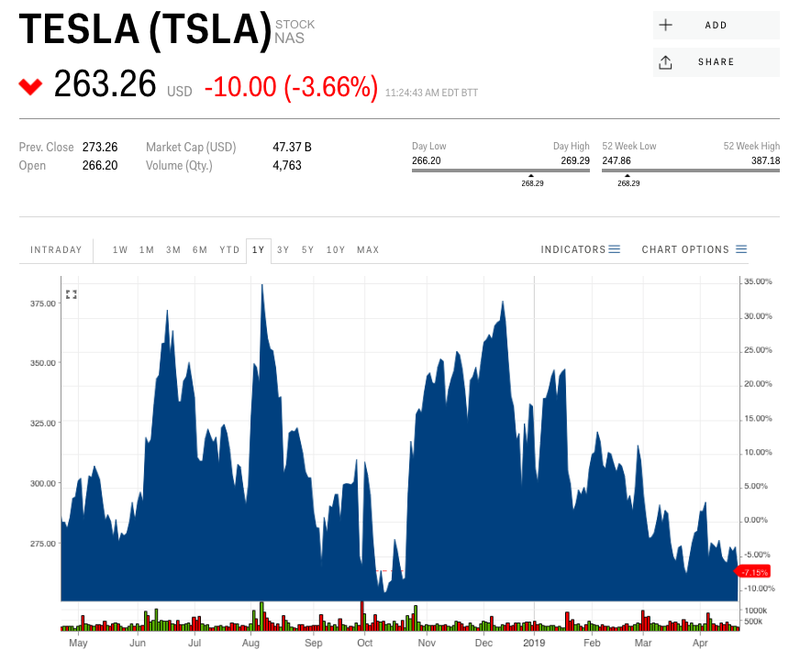 These trades are bets that Tesla shares could fall below $230 or even $200 a share — a level they haven't seen since December 2016. Shares were trading just above $263 apiece early Monday. Specifically, investors last Thursday bought 5,000 weekly puts expiring April 26 with a strike price of $200 for $0.23 apiece and 5,000 monthly puts expiring in late June with a strike price of $230 for $8.50 apiece. Buying a put gives an investor the right to sell a specified number of shares at a set price in the future. 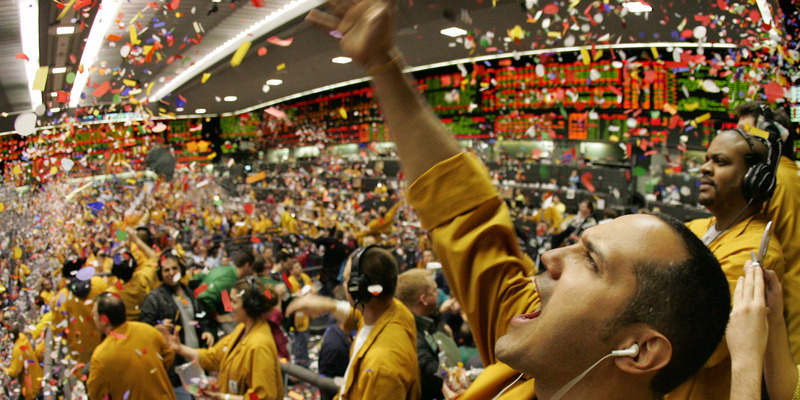 "The Apr26 flow trading may be viewed as a type of 'crash protection' in that an investor now has the right to sell 500k shares if stock is $200 or lower (~27% lower from Thursday's levels) at the end of this week," Alison Edwards, a derivatives strategist at Susquehanna, told Markets Insider in an email. The weekly puts that expire Friday will be worthless if Tesla finishes the week trading above $200 a share. The monthly June puts will expire worthless if Tesla shares trade higher than $230 apiece at the close on June 21. To be sure, Edwards says this isn't unusual options volume in the name — and is not necessarily indicative of overall trading sentiment. The 22-day average daily volume in Tesla options is 220,000 contracts — 103,000 calls and 118,000 puts, she said. Thursday's trades came as the asset manager T. Rowe Price, one of Tesla's largest shareholders, dumped 92% of its position, according to data out last week from Refinitiv. That marked the second straight quarter in which T. Rowe pared down its Tesla holdings, which fell by about half in the fourth quarter. Tesla shares fell nearly 4% on Monday after Evercore ISI downgraded its rating and slashed its price target to $240 a share from $330. Tesla also said in a filing last Friday that four board members would leave their posts at the end of their respective terms. On Wednesday, the Elon Musk-led electric-car maker is expected to post an adjusted loss of $0.90 a share on revenue of $5.27 billion, according to analysts surveyed by Bloomberg. Earlier this year, Musk said it was unlikely Tesla would achieve profitability in the first quarter — a reversal from the company's prior expectation. 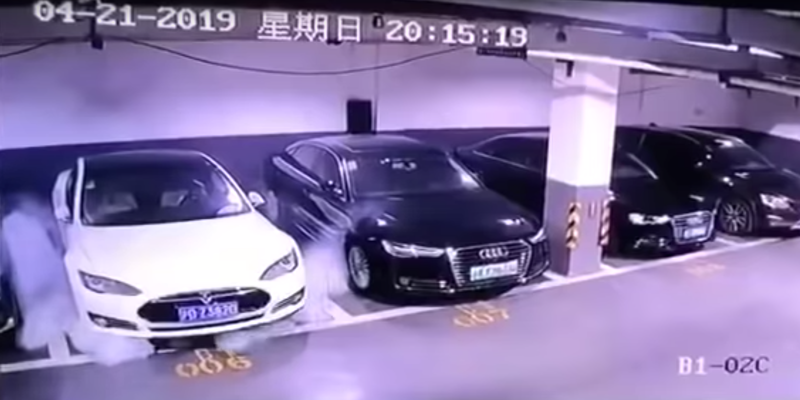 A Tesla Model S appears to emit smoke and erupt into flames in a Shanghai parking garage in a video posted to Weibo over the weekend. Tesla said it's investigating why the car, which was not charging at the time, appeared to spontaneously combust. While Tesla sells some of the safest cars on the roads, its batteries can be particularly tricky for firefighters. Tesla is investigating a fire that appears to have been started by a Model S in a parking garage in Shanghai. Video on the Chinese social-networking platform Weibo that first surfaced Sunday evening appears to show the car emitting smoke before erupting into flames, igniting several other cars in the area. Business Insider was not able to verify the videos, which were first reported by the local blog Shanghaiist. Shanghai's fire department said on Weibo that it dispatched 15 fire engines to the scene, where it took just under an hour to extinguish the blaze. Authorities confirmed that the fire spread to an Audi and a Lexus parked nearby. "After learning about the accident in Shanghai, we dispatched our team to the scene last night. We are in active communication with the relevant departments and coordinating for the situation as appropriate. According to currently available information, there are no casualties." In an interview with China's Xinmin Evening News, the car's owner said the 2015 Model S was not charging at the time of the fire but had been charged a few hours prior. Last week, another Model S caught fire shortly after being towed to a repair shop in Pennsylvania, despite word from Tesla that the battery had been disconnected and would not catch fire. According to Reuters, there have been at least 14 instances of Tesla vehicles igniting in the past six years, most of which have occurred after a crash. Battery fires can burn hotter and longer than those of Tesla's gasoline-powered counterparts. Tesla's own documentation for first responders says a fire in the Model S can take up to 3,000 gallons of water to establish sufficient cooling for the battery. Starr Chen assisted with reporting. Stock-market price swings have been subdued leading up to earnings season, but Goldman Sachs has still identified a handful of mispriced market opportunities. The firm offers specific options-trading recommendations for five single stocks as their earnings approach: Amazon, Arista Networks, Caterpillar, ConocoPhillips, and Tesla. 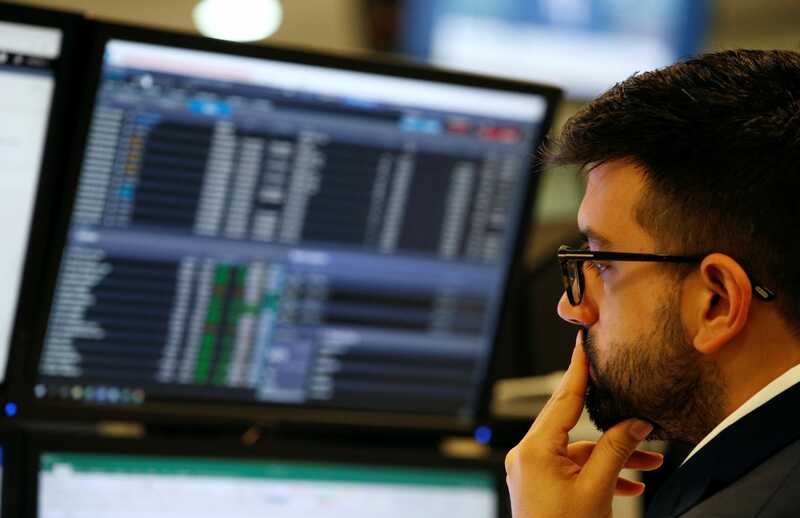 Strategists at Goldman Sachs note that 55% of the stock market's average daily notional trading volume is done through options, up from 30% in 2016. "Mutual funds and systematic investors have increased their use of options selling strategies, while hedge funds and retail investors are increasingly buying options to position for the large stock moves on catalysts," a group of Goldman derivatives strategists led by John Marshall wrote in a client note. 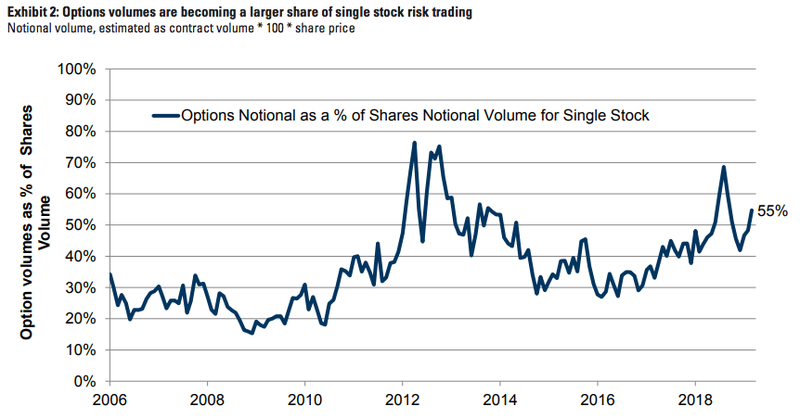 They continued: "The growth in volumes opens up opportunities for even large investors to use options to manage risk and access liquidity at a time when shares liquidity has been challenged." As you can see in the chart below, that 55% isn't a record, but it's still well above the measure's average over the past 13 years. "Options prices are low across the majority of single stocks ahead of this earnings season," Marshall said. "For investors with a view that an upcoming catalyst is likely to move a stock in a meaningful way, option buying strategies appear unusually attractive." Fundamental rationale: "Goldman Sachs internet analyst Heath Terry sees 13% upside to Buy rated AMZN over the next 12 months. He believes AMZN represents the best risk/reward in Internet, given the relatively early-stage shift of workloads to the cloud and the transition of traditional retail online." Pricing rationale: "We believe AMZN options are inexpensive as 1-month implied volatility is below its average level over the past year and options are implying a move of +/-4.0% vs. 8Q average earnings move of +/-4.5%." Fundamental rationale: "Our analysts expect consensus estimates to be raised following results; we see calls as unusually attractive to gain exposure with limited risk." Pricing rationale: "ANET 1 month implied volatility of 42 is below the peaks ahead of prior earnings releases and only at median levels relative to the past year. This suggests that investors are not positioned for a large up-move this quarter." Fundamental rationale: "Goldman Sachs machinery analyst Jerry Revich raised his 2019 EPS estimates ahead of earnings, and expects a bullish tone at the analyst meeting, with management potentially revising margin targets to the 15-17% range." Pricing rationale: "CAT stock has historically moved +/-5.5% on the day of earnings, and +/-1.5% on analyst days, but options are only pricing a +/-5.8% move through 3-May. CAT 1-month implied volatility is currently 28, 4 points below recent realized, despite these upcoming catalysts." Fundamental rationale: Goldman Sachs integrated oils analyst Neil Mehta says "COP is a free cash flow winner, able to cover its dividend and capital spending as long as Brent is $45-$50/bbl." He also says "long-term growth opportunities are underappreciated, including Alaska, Australia and Qatar." Pricing rationale: "We believe the COP call options are underpricing the potential upside on earnings as COP 1-month normalized skew is at an elevated level and 1-month implied volatility is below its average level over the past year." Fundamental rationale: "TSLA is holding an autopilot analyst day (22-Apr) two days before their regularly scheduled earnings report (Apr-24). We expect the autopilot analyst day to increase the debate on their technology and the earnings event to reinforce the earnings uncertainty." Pricing rationale: "TSLA 26-April straddles that capture both events cost 9.4% vs. a move of +/- 7.2% on average for the past 8 earnings events. There is limited history regarding volatility on analyst days, but we think that the additional 2.4% volatility priced in for the analyst day is too little." SEE ALSO: Even the world's top firms pay Rob Arnott for advice. He explains why a $1 trillion investing industry is built on a flawed premise — and why that's hurting retirement savings. Tesla bears are insisting that the company is staging an event to showcase its self-driving technology because it wants to distract from weak first-quarter earnings coming this week. But the markets have known Tesla earnings are likely to be weak for some time. What CEO Elon Musk really wants to do is pitch Tesla autonomous tech to investors who've thus far created multibillion-dollar valuations for self-driving businesses from the likes of Uber and General Motors' Cruise. Tesla is staging a self-driving event on Monday for investors to show off the evolution of its Autopilot technology and perhaps to finally outline what it hopes to do with a fully autonomous ride-sharing service that's been informally called the "Tesla Network." Tesla stock is down about 14% year to date, so investors are already pricing in the disappointment. They also appear to be unexcited about the robo-taxi event. And it bears repeating that a Tesla share slide at the beginning of a calendar year is old news — Tesla used to decline pretty reliably for the first half before recovering to end a year. So if Tesla can't move the stock with Tesla Network news, why host an event? It's simple: The company is paying attention. Cruise, General Motors' standalone effort, is now worth almost $15 billion based on investments from Japan's SoftBank and Honda. Toyota, Denso, and SoftBank recently put $1 billion into Uber's autonomous efforts, making the pre-IPO subset of the ride-hailing service worth $7 billion. For Tesla, the problem to be solved here is with its balance sheet: The company is going to spend itself down to about $1 billion in cash on hand this year, and it needs to either tap the public markets to raise capital as it has in the past or find some new funding sources (or both). Musk has seen what Cruise, Uber, and Waymo (owned by Alphabet) have pulled off and, being savvy about bringing in money, doesn't see why Tesla shouldn't get its slice of the pie. The main reason why is that Tesla has a lot more vehicles on the road — equipped with its Autopilot technology that's gathering data — than the theoretical competition. Commercialized autonomous ride-hailing is a limited business. 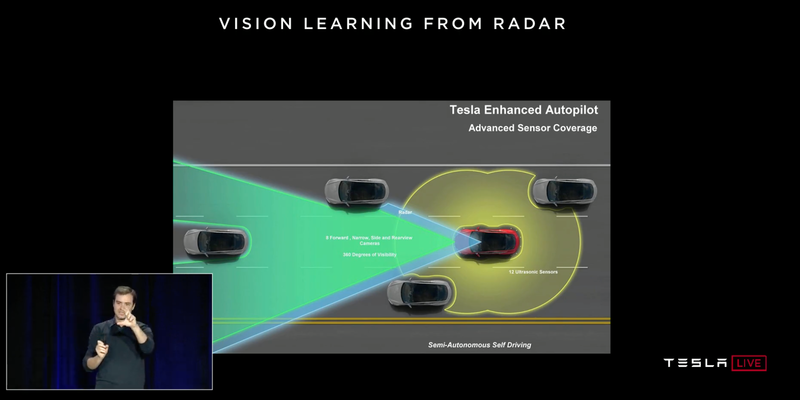 Tesla is also using a visual system instead of the laser radars that much of the new industry now favors. Tesla's argument is that the "lidar" setups can't operate in a wide variety of conditions (such as snow and fog), whereas Tesla's system is akin to a human driver but with superior eyes (and more of them) and a much, much bigger and faster brain. So ultimately this is really a transparent follow-the-money pitch from Tesla. 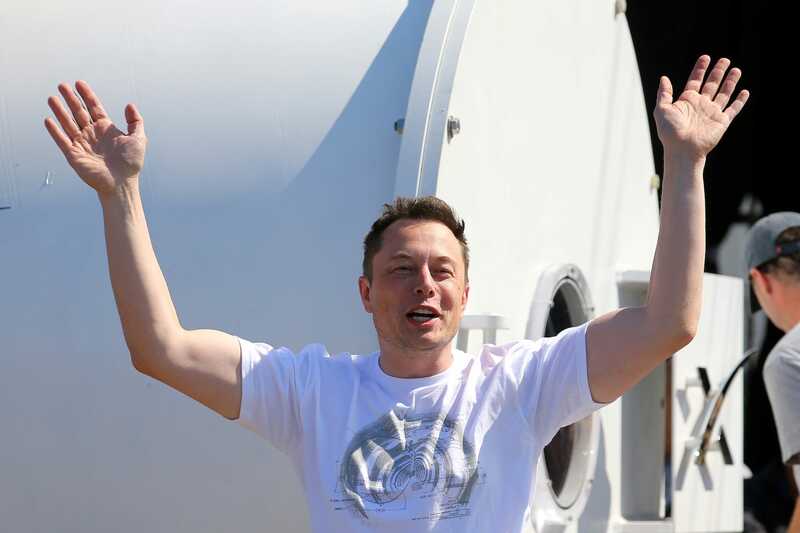 Billions are being bet on autonomous services, and Musk thinks Tesla should grab its share. UBS Wealth Management, which has over $2 trillion in invested assets and is the world's largest wealth manager, recently shifted its overweight position in US stocks. The firm is still bullish on stocks but is advising clients that the strongest returns in the coming months are unlikely to be found in the US. It further pinpointed the country it expected to be a major beneficiary of global economic growth in the months ahead. You don't have to be bearish to be concerned about how US stocks perform from here. Just ask UBS Wealth Management, which is as bullish as any firm can be in the current environment yet recently made a notable change to its asset allocation. The unit, which had $2.3 trillion in invested assets at the end of last year, closed its overweight in US stocks versus government bonds, according to a recent client note. It also added new overweights to emerging-market and Japanese stocks versus Treasurys. UBS didn't make these shifts because it's forecasting a market downturn. In fact, the firm holds the view that the record-long bull market in US stocks, which placed the market head and shoulders above its international counterparts, still has legs. However, its view is that clients' money will be better placed in non-US markets going forward. "We still see US equities moving higher over the next six months, but with much more modest gains compared to the past four," Mark Haefele, the chief investment officer of global wealth management, said in a recent note to clients. He continued: "Fading recession fears, a supportive shift in monetary policy, and a potential resolution to the US-China trade tensions can all help drive risk assets higher. We add to our overweight to stocks, but shift our exposure to Japan and emerging markets, which we believe offer greater opportunity from here." In other words, the underlying reason for paring exposure to US stocks is bullish. But if you're predominantly invested in the US, you might want to consider geographic diversification. Haefele said he expected global stocks to continue to benefit from an enabling economic environment. US stocks already have in torrid fashion: The 16% rally in the S&P 500 this year — and 25% since the Christmas Eve low — shows that US investors are optimistic, he said. The rally, however, has made US stocks more expensive relative to their historical average, further increasing the appeal of cheaper Japanese and emerging-market stocks. That's why Haefele said he expected global stocks to be the biggest beneficiaries of this enabling environment, as they have not yet rallied to price in the outlook. Haefele is far from the only investor scouting for greener pastures outside the US and urging investors to do the same. 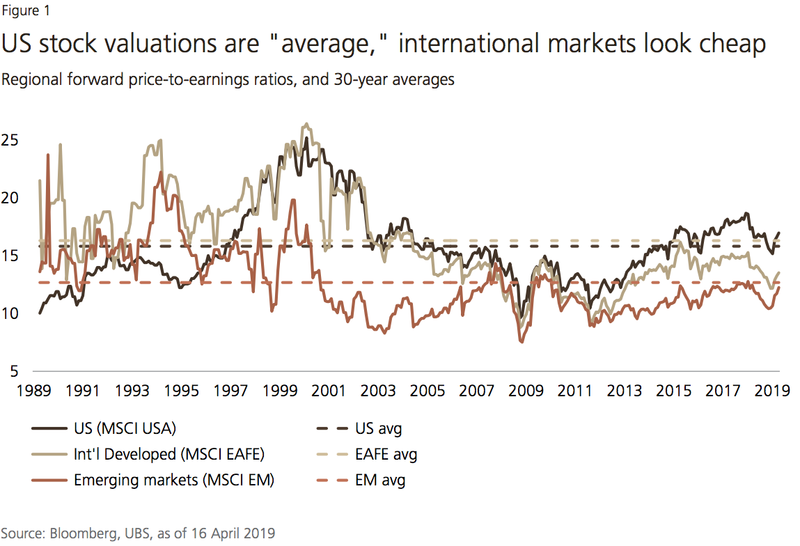 Many of his peers are recommending international stocks in general, and emerging markets in particular, because they don't expect US companies to maintain the same pace of earnings growth that helped fuel the bull market. Besides Japan, China is also being name-dropped as a top alternative destination for US investors. The country is rapidly opening up its markets to attract foreign capital that it can use to recover from the fallout of the trade war. SEE ALSO: There's glaring evidence that the next recession will be different from any other in recent history. Here's why experts worry we're ill-prepared to combat it. Tesla's "Autonomy Day" is scheduled to kick off at 11 a.m. PT on Monday. The company said it would feature Autopilot test rides and keynotes from executives including CEO Elon Musk. It's not clear what new tech the company might announce, and Wall Street analysts say there are more important things affecting the company right now. Musk's past comments about Tesla's self-driving capabilities have been criticized by industry experts. On Friday, Tesla disclosed that four of its directors would depart at the end of their terms. Tesla is set to host an "Autonomy Day" for investors at its Palo Alto, California, headquarters on Monday to show off its latest developments in self-driving technology. Attendees will be treated to test rides with the company's Autopilot feature, Tesla said, as well as hearing from executives including CEO Elon Musk; the vice president of engineering, Stuart Bowers; the vice president of hardware engineering, Pete Bannon; and the director of artificial intelligence, Andrej Karpathy. "Tesla is making significant progress in the development of its autonomous driving software and hardware, including our FSD computer, which is currently in production and which will enable full-self driving via future over-the-air software updates," the company said. Still, Wall Street remains skeptical of the event and Tesla's Autopilot software in the wake of Musk's previous comments that many experts have deemed misleading. "We're certain the market is going to get a lot of promises at the investor day tonight, but we'd like to see more proof before assigning a significant value," Arndt Ellinghorst, an analyst at Evercore, said in a note to clients Monday in which he downgraded the stock to an "underperforming" rating from "in-line." Even other analysts who remain bullish on Tesla's long-term prospects, like Daniel Ives of Wedbush, say there are more pressing matters concerning investors ahead of the company's earnings report on Wednesday, especially after an underwhelming sales and delivery report for the first quarter. "While we firmly believe in the long term vision for Tesla and expect self driving autonomous technology will be a linchpin of the company's success," Ives wrote, "the Street needs to have a better grasp on the near term demand trajectory in the US for 2Q, delivery logistics for Model 3 in Europe/ China which had been a key culprit for the 1Q debacle, and better understanding of the tenuous balance sheet situation for Musk & Co. going forward for the stock to stabilize." It's not clear exactly what new products or software functionality Tesla may announce at the event, which is scheduled to start at 11 a.m. PT. The company's Autopilot product, hailed by Musk as "full self driving," has garnered criticism from experts who have called his comments misleading and potentially unsafe. Mary Cummings, a professor at Duke who studies the interaction between humans and autonomous driving systems, told Business Insider that no auto or tech company had created a fully or semiautonomous driving system that could operate on the highway without any human attention. "He's wrong," she said of Musk's assertion that Tesla vehicles already had full self-driving capability on highways, "but his job is to sell cars," Cummings added. AutoNation CEO Mike Jackson agreed. "He is overpromising on autonomous vehicles in an almost unethical way," he told CNBC in February. Tesla hopes to eventually power a network of autonomous taxis that could compete with Uber, Lyft, and other ride-hailing companies. Musk has openly acknowledged this on several occasions, most recently in a tweet earlier in April. Self-driving technology is also thought to be key to profitability for Uber and Lyft, which are investing heavily in the area for their services. Consumers, however, need more convincing of the benefits of self-driving cars. A Reuters/Ipsos poll published Monday found that more than half of American adults thought automated vehicles were more dangerous than traditional cars driven by humans. About 63% of those who responded to the poll said they would not pay more to have a self-driving feature on their vehicle, and 41% of the rest said they would not pay more than $2,000. Reuters' findings follow similar results from a Pew Research Center in 2018. "People are comfortable with things they know," Chris Thomas, a cofounder of Fontinalis Partners and Detroit Mobility Lab, told the wire service. "When everybody understands the game-changing attributes of automated vehicles, how they can give you back all that time to read or work or sleep, they will start to ask about the value of that recaptured time." 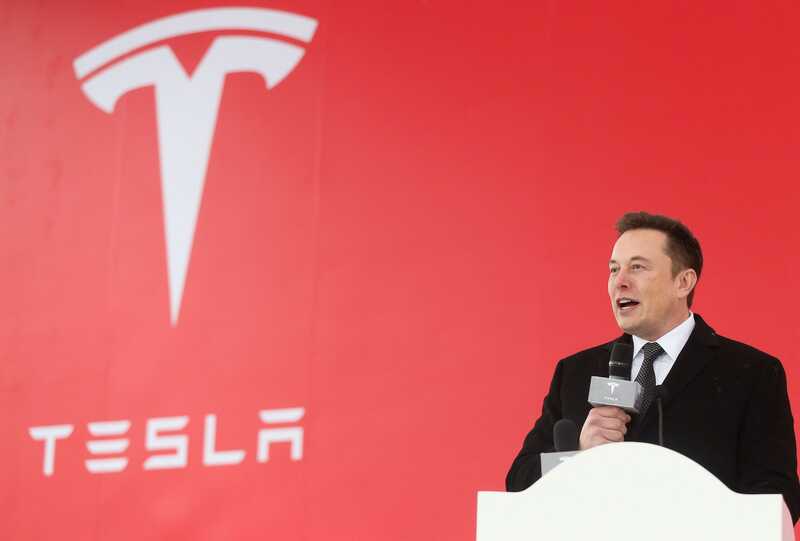 Shares of Tesla were set to open down about 1.5% on Monday morning, following the announcement on Friday that four of Tesla's board members would not seek reelection at the end of their terms. On Wednesday, Tesla is scheduled to report its first-quarter earnings. Wall Street analysts polled by Bloomberg expect the company's balance sheet to sink bank into the red, as Musk in February warned might happen. Are you a Tesla employee? Have a story to share? Get in touch with this reporter at grapier@businessinsider.com. Secure contact methods are available here.